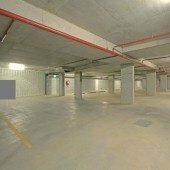 Secure undercover parking space available 24/7 with remote access, Will suit anyone looking to park their Van, SUV, Car, Trailer or small boat, 3 spots available! 1.8km from Hurstville station, price negotiable. Space located on level 1, Once you have booked, we’ll meet up and I’ll show you around the building and give you the key”.